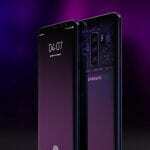 HomeMobile Phone NewsWhen is 5G coming? 5G, the next generation in mobile phone technology, is set to transform our lives by powering businesses, improving our homes and enabling revolutionary products such as driver-less cars. But what is 5G and how and why does it have the ability to change so much? The new technology will use higher frequencies than 4G resulting in more speed and higher bandwidth. 5G could even bring about the end of Wi-Fi, particularly in public places, as the network will be sufficiently powerful to provide all the mobile internet browsing you could want without interference. And because the network will have a much greater capacity than 4G, thousands of devices in a small area could be connected simultaneously. However, it’s going to be a while before 5G is up and running in the UK because it’s not planned to begin until late this year. If 2020 is planned to be the rollout date, it could take longer for the network to be fully operational across the UK. 5G’s potential is way more than faster film downloads and streaming. The telecoms operators are investing in overhauling wireless broadband to make the 5G network infrastructure universally available. That’s because the internet is becoming saturated due to the heavy demands made by increasing numbers of devices. While the past decade saw a rollout of reliable access for smartphones, the next few years will see an explosion in the number of connected devices, from cars to watches, fridges, even smart cities – the internet of things (IoT). It has been predicted that there will be close on 21 billion (!) connected devices by 2020. As things stand, our current networks are simply not capable of supporting that level of activity. Add billions of devices to the demands of live-streaming video and virtual reality (VR) content, and a new standard is self-evidently required. 5G is that new standard. Currently, 4G enables around one gigabit per second of data transfer. 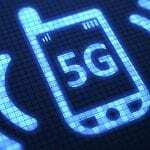 5G is expected to increase that to around ten gigabits per second. HD film downloads will occur in a matter of seconds, not minutes, and lower latency means loading times when browsing will be a matter of milliseconds. Streaming high-definition (HD) videos and VR content will become more reliable, and a huge network of IoT devices will be able to communicate effectively. One important issue is how 5G will fit into the wireless spectrum. 4G occupies frequency bands from 5MHz to 20MHz, sometimes up to 40MHz. The Snapdragon X50 5G modem works in the 28GHz band, but higher frequency signals don’t travel as far, which means that more antennae will need to be built to support a 5G network, which in turn means that 5G will be more expensive to implement than 4G. 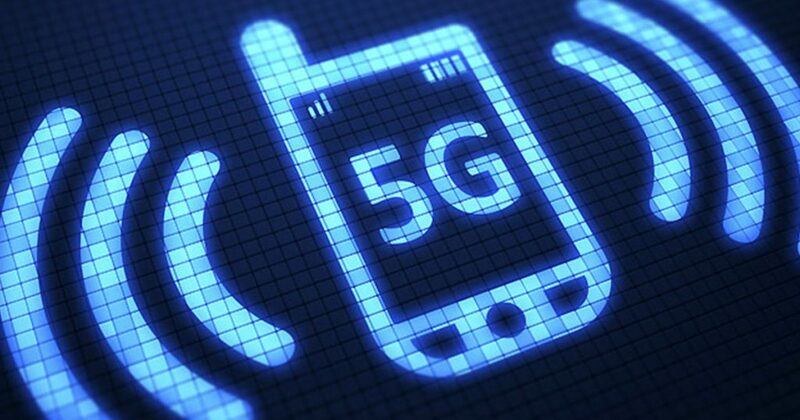 Whereas Korea, the US and Japan believe the optimum frequency is the 28GHz band, most of Europe places it from 24GHz to 27GHz, which means the technology of the first-mentioned countries will have to incorporate the entire range of spectrum in order for 5G to work in different regions in the way that 4G does. Another issue is batteries. Much work is being done to reduce the energy usage of 5G connections which are likely to be energy-intensive, which is fine if you’re connected to the mains or have a large battery, but will be an issue for slim-line handsets. 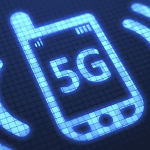 However, as 5G will be faster, connections could be carried out in shorter spurts. Therefore, it may be a matter of tailoring hardware to manage quicker, more intensive spurts, rather than increasing battery capacity dramatically. One way or another, when 5G arrives here in the UK, it will usher in a new era of connectivity, with something like 21 billion devices jostling for internet access.